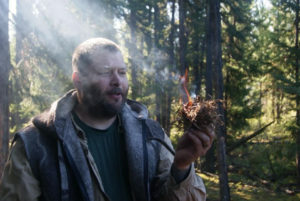 Robb Brouwer is the owner of Bearpaw Bushcraft, based in Calgary Alberta. Raised in Calgary, Robb joined the Sea Cadets at the age of 13, which sparked his interest in bushcraft and the outdoors. Along with learning bushcraft, Robb has a passion for traditional archery and is a certified instructor. He also specializes in leather crafts, brain tanning, various fire starting techniques and other outdoor activities.